As we come to the end of the year we’ve all been asking ourselves if we’ve been naughty or nice. Santa is supposed to know-is this just a charming conceit or is someone up there judging us on the last days of the year? 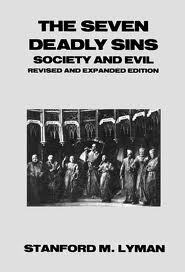 Have we committed the Seven Deadly Sins? Around the holiday time it is likely most of us have- LUST, GLUTTONY, GREED, SLOTH, PRIDE, WRATH & ENVY. Who among us has not LUSTed after a pair of Manolo Blahniks? We all know the sin of GLUTTONY, especially during this holiday season-too much caviar, too much foie gras, too much champagne. Some of us have been too GREEDY & bought too many things for ourselves when we might have given the money to those more needy. As for the sin of SLOTH-too much lying around doing nothing is definitely not charming, especially when we could be volunteering at our local soup kitchen instead. Only PRIDE could explain the photo for Marc Jacob’s new men’s cologne, named “Bang” with the designer himself as the model- in the buff, oiled & tatooed. Not charming. Showing one’s WRATH at the slightest provocation probably comes from the same immaturity that leads today’s stars to trash hotel rooms-definitely not charming. Last but not least,the sin of ENVY-perhaps the most insidious of all the sins & the most powerful of all emotions. It is defined as the pain experienced by another having something that one does not have oneself. How about everyone grow up & think about how you can do better for the new year. 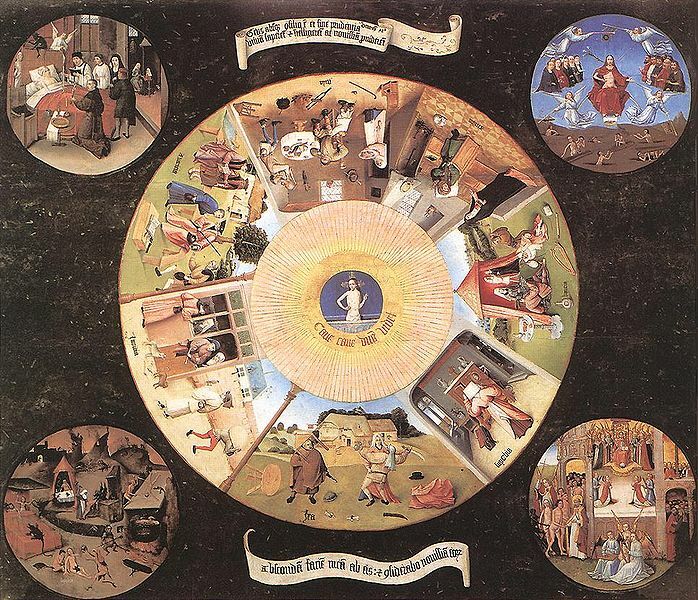 Now is the time to be thinking of the Seven Heavenly Virtues & how you can apply them. Be more charming in 2011. We don’t want you going from Charm School to Reform School. Some last minute holiday gifts. 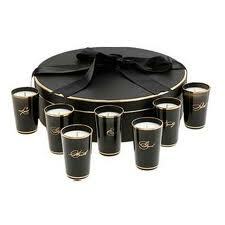 Seven Deadly Sins candles by D.L. & Co. to give sinful scents to your next soirée. 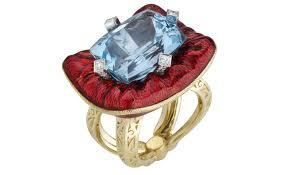 A set of 7 fab cocktail rings by Stephen Webster from his Seven Deadly Sins Collection. And finally, a perfume oil that inspires lust. So as my mother used to say “If you can’t be good, be careful”-and always, charming. 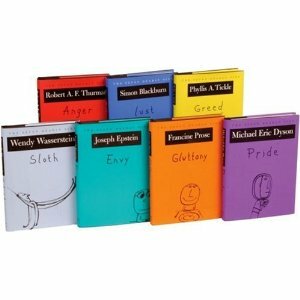 The Seven Deadly Sins set-a real treat from multiple authors such as Wendy Wasserstein. It’s expensive, but available used. 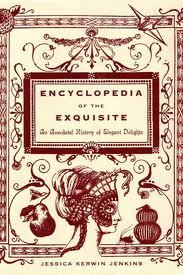 And my favorite holiday find-Encyclopedia of the Exquisite by Jessica Kerwin Jenkins, a former editor of Women’s Wear Daily.